Leoni Outdoor is a stunning new collection. This eye-catching impressive new collection oozes luxury and design. The Leoni collection is made from powder-coated aluminium which makes this modular furniture durable, strong and designed to survive all weather conditions. The luxurious cushions are made from top quality, washable Sunbrella Water Resistant material, adding both comfort and style. The Leoni collection features a corner and a middle module allowing you to create the perfect configuration for your outdoor space. 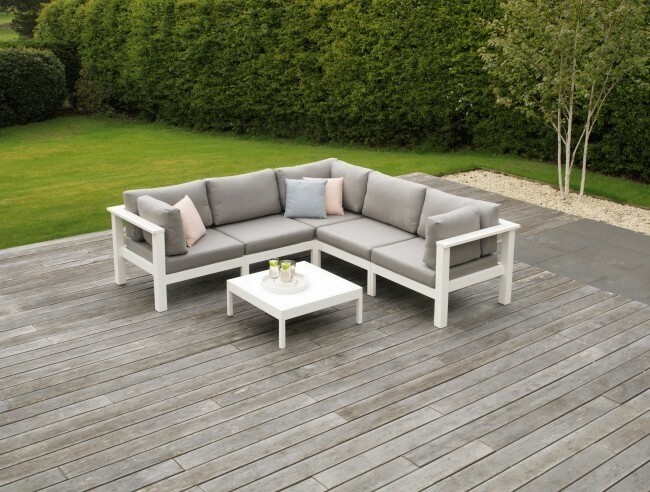 This Leoni set includes: 3 x corner units with cushions, 2 x middle units with cushions, 3 x extra side cushions and 1 x coffee table (as seen in the main image but excluding scatter cushions). The frame can be white or grey powder-coated aluminium (the main image shows white) and you can chose from a beautiful array of Sunbrella fabrics for the cushions. On display in our showroom, Brentwood M25 Junction 29. Offer is as shown in image but with a slightly darker shade of grey fabric. Middle Module Dimensions (cm) Height: 69 - Width: 73.5 - Depth: 83.5 Corner Module Dimensions (cm) Height: 69 - Width: 80 - Depth: 83.5 Coffee Table Dimensions (cm) Height: 30 - Width: 73.5- Depth: 73.5 Length overall 235cm x 235cm. 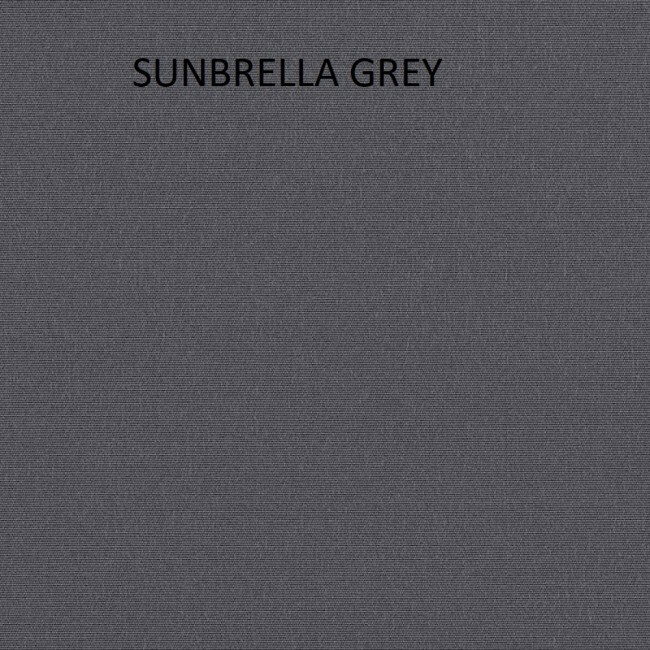 Cushion colours: Sunbrella Grey Alternatively, please call to order if you prefer a different colour Sunbrella material. Please note that there may be a surcharge. This comfortable set if on display in our Brentwood Essex showroom (CM13 3HD). We also have offers on sofas and coffee tables in the same collection.